There’s an amazing new makeup brand out called Makeup Obsession that I am obsessed with. Its super cheap and fun because it lets you customise your makeup palettes making life so much more interesting. As a creature of habit when it comes to my own makeup, I have recently decided to mix things up and go for different looks each day… Okay not every day, maybe once a week, while I break out of old habits. My sister who has a relatively normal job does this all the time. I asked her how she manages, and she told me the trick is to have looks that you want to create in your mind, and also have products easily available. A customised palette will therefor have different colours ready in one place saving you time rummaging through your makeup bag. In my case this is multiple bags and boxes and boxes of products. All the palettes I usually get are a bit of a waste of space as there’s always one or two colours that never get used, or only one colour from the entire collection that I do use. What’s great about Makeup Obsession is that there are different size palettes so you could buy one for your nights out containing a blusher/bronzer, a highlighter, an eyeshadow and a base, or just one for eyeshadows, or one for everything. They are so versatile and so cheap you can buy a loead of them and switch them around depending on the occasion or season. Quite a few brands are already doing it. I saw a few in MAC the other day, but they’re tiny and limited to eyeshadows only. 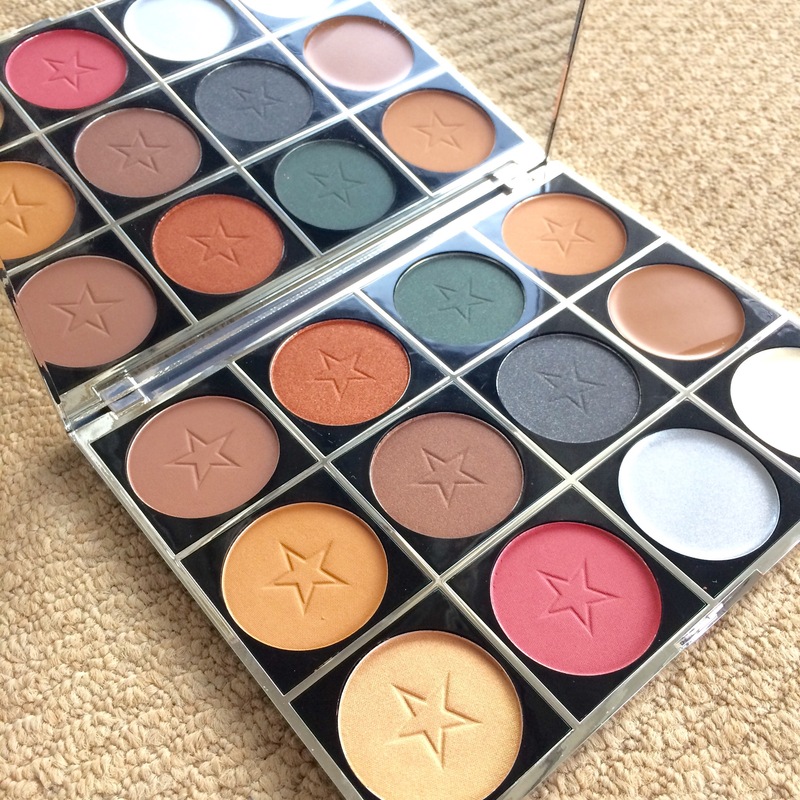 With makeup obsession you can add eyeshadows, blushers, bronzers and highlighters. There are so many colours available you can even make palettes with just blushers, or one for strobing and highlighting. The brand has been built to create your own look. They offer a huge selection of shades and solutions that clip in and out easily. The bottom is exposed with the name so you will never mistake a blusher for an eyeshadow. They are highly pigmented, last a really long time and look amazing on the skin. A medium palette holds 6 Makeup Obsession singles, and a large palette holds 12. They come in a variation of colours and finishes – white, black, gold, and silver. They sell singles separately to palettes, they are all the same size, enabling them to slot in and out of any palette easily. Once you have purchased your palette and filled it, you can repurchase any singles when you please, and keep creating. Keep your eyes peeled for any limited editions and new additions. You can also have the products engraved from Boots new engraving service. Its amazing the most incredible gift. Here’s one I made at the launch. The blushers, highlighters, and strobe creams are along the right and bottom row and the eyeshadows are on the top and middle right. They are so highly pigmented and last all day.